This week's page is now up here. Another surprise in a regular book shop. At The Works – a remaindered book store in town – there is a selection of trade paperbacks / graphic novels / comics on sale. A Jay and Silent Bob Clerks collection. Lobo Bastich by Alan Grant. Most strikingly, there are 4 volumes of the recent Love and Rockets collections by the Hernandez brothers. What is in one branch tends to be replicated nationwide, so go and check it out. Oh dear. I've signed up for this year's 24 Hour Comics Day. 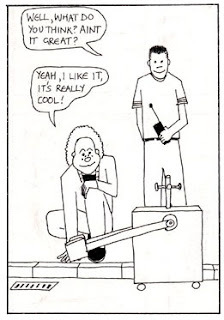 I first heard of 24 Hour Comics Day years ago as a scary idea from Scott McCloud. A day is chosen, and around the world, cartoonists do a 24 page comic in 24 hours. That's normally months of work. Terrifying, but an intriguing notion that has niggled at me ever since. In 2007 I sat in at the beginning of the event in London out of curiosity and found that I didn't want to leave. I wanted to join in. So this year, the new comic shop "Kingdom of Adventure" in Kirkcaldy is hosting an event. I've thrown my hat into the ring, risking exhaustion, hallucinations and possible insanity. 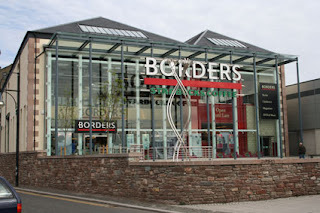 Something is going on in Borders. They actually have US Marvel comics on sale, which is nice to see. As far as I can remember, that's the the first time Marvels been available to people outside comics shops in the UK for about fifteen years. Up til 1994, Comag was distributing them - complete with fairly huge stickers plastered on the covers. Along with their carrying Crikey!, this shows a new interest in comics is happening at Borders (they already had a pretty good aisle or two of graphic novels). Borders is charging a fortune for single issues though - I'm pretty sure some of those single issues cost £4.25, which is a lot to ask for an impulse comics buy. In the UK, these US originals have to compete with British comics that reprint up to 3 US comics from a couple of years ago. These collections are all colour, cost about the same price or cheaper, and are a lot thicker. And the US originals still have a big sticker stuck on front too. But it is part of a pleasing trend on the part of the chain. Long may it continue. 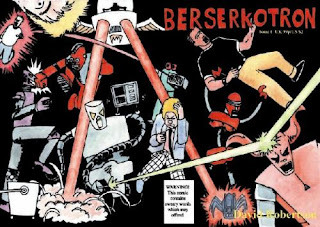 Starting today, I'm going to post a page of Berserkotron weekly at Webcomics Nation. To read it, follow this link. Here are five more Hulk artists I think are just groovy. 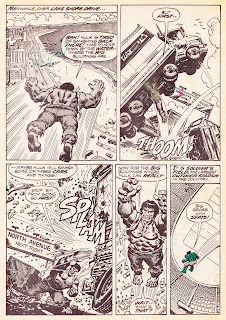 Black and white, as it appeared in the British magazine I read it in, but 7 year old me has helped by colouring the Hulk figure using watercolours in panel 2 and a felt tip pen in the last one. 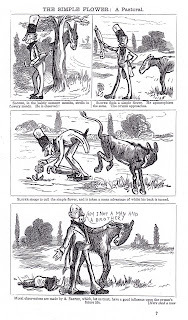 The latest edition of the International Journal of Comic Art (Vol. 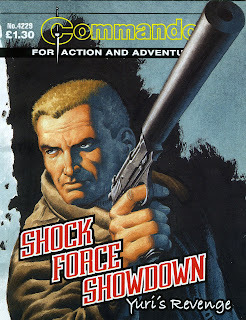 11, no.1) carries an interview I conducted with Ian Kennedy, who is well known for his aerial dogfight / aircraft scenes, and science fiction artwork. Kennedy: I had a car accident and it was just after I recovered from that, when Barry Tomlinson came at me and said, “We’re looking for someone to take over Dan.” They’d resurrected him, but I don’t think they were too happy at the way things were going. And he said, “Can you take it on?” That was ‘82, I think. Robertson: Gerry Embleton had brought it back. Kennedy: I think Gerry was involved. Robertson: So he obviously wasn’t going to be doing it any more. Kennedy: I don’t know who it was they were unhappy with, but they just felt it was lacking something, and they had hopes I might be able to, with my Air Ace experience, etc, the mechanical stuff, they thought, and hopefully they were right, that I could inject the sort of thing they wanted. They must have been successful, because I think we did it for about ten years before Eagle folded again. 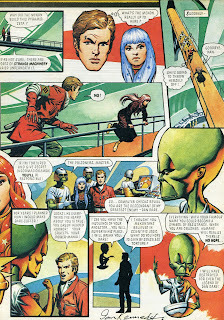 Robertson: You did actually draw the original Dan Dare character in some stories, didn’t you? Most of the time it was the grandson. Robertson: You actually had Dan Dare being a pilot in the war, I remember that. 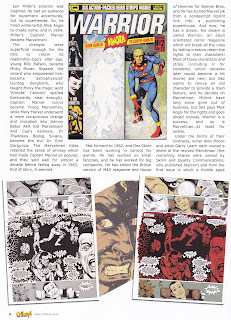 Kennedy is an interesting fellow, and after sixty years in comics, is still working away on Commando for D.C. Thomson. Above is his painted cover for the latest issue. Today I picked up Marvel Comics’ Strange Tales anthology. This comic is the same vein as DC’s Bizarro books, and Dark Horse’s Star Wars Tales. 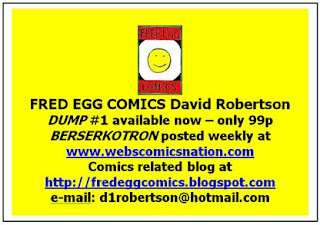 Contributions come from Peter Bagge, Nick Bertozzi, Jason, James Kochalka, Junko Mizuno, Perry Bible Fellowship, Paul Pope and more. A stellar line up for sure, taking time out to do a super-hero story. I haven't read X-Men in over 20 years, but that's gotta be the best mutant story they've published in a long time! A nice surprise in Borders bookshop yesterday - the latest issue of Crikey! sitting on the shelf at the comics section. I've bought Crikey! 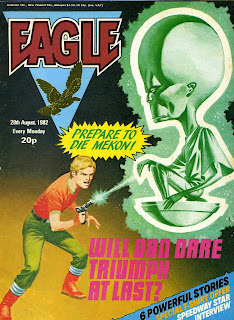 a couple of times before through mail order; the first issue to try it out, and the fifth as it had an Eagle /Dan Dare cover article. They have obviously expanded their distribution network to include Borders now, which must be a financial gamble. It's good to see a comics magazine in a mainstream outlet though, even if it does deal solely with nostalgia. There is Comics International, but even as the new editor vastly improved the content, the magazine's publication schedule fell apart. I think there's been 1 issue of the (previously monthly) magazine this year. So I wish Crikey! all the best and hope it enjoys a lengthy run. 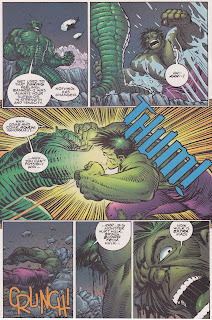 Another artist who did a lengthy stint on the Hulk was Herb Trimpe. 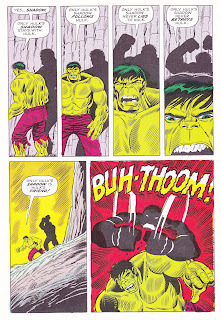 For many who were reading the comic in the early '70s, he is the definitive Hulk artist. 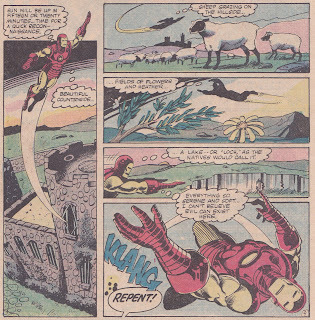 I was never taken to that extent with Trimpe (as I mentioned before it's Sal Buscema for me). 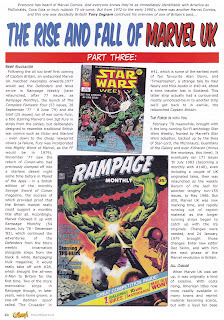 But he did give the Hulk a real character and drew a lot of memorable stories - a Tyrannus one featuring Mogol the robot, and a couple of encounters with the Glob come to mind. 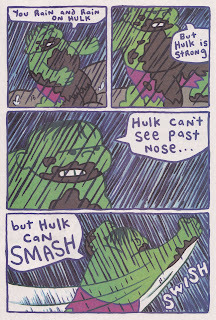 Poor Hulk. That scene is so tragic and melodramatic that it's funny. 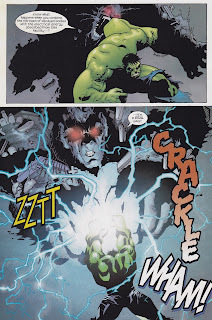 It must surely go down as a classic Hulk moment. 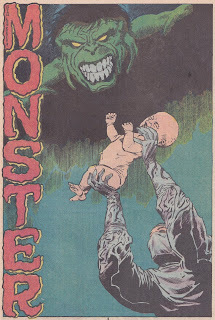 Another name associated with the Hulk for a long time was Peter David. He wrote the comic for over ten years. I'd read some David before, and had noticed if he wrote a story, there was usually a bit more to it than in other super-hero comics. I recall a Spider-Man story about a serial killer (the Sin-Eater, I think), and another nice one examining J. Jonah Jameson's reasoning behind his hatred of Spider-Man - a story whose mood was much aided by being inked by Kyle Baker. Quick history lesson: When Marvel Comics printed Hulk #1, the character was grey. But he was coloured green from the first page in #2, and stayed that way for the next 25 years, no-one ever mentioning it in the story, and subsequent reprints of Hulk #1 recolouring him to green. Knowing he had been grey at first was a fact only die-hard fans knew, and there was no suggestion that the skin colour change had actually "happened". 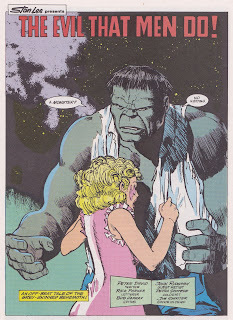 However in 1985, the idea that the Hulk was originally grey was written into continuity. The Hulk was separated from his Banner persona and emerged as the grey Hulk again. Nice storytelling there too, with the Hulk's exit suggested, but not shown. 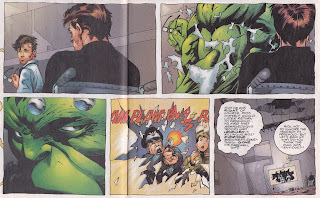 David finished his run in 1998, but would return to the Hulk a few years later, and has also written one-off specials. When I'm writing, which is all the time, I'm always on the lookout for ideas. These can be used either for new stories or to implement into my existing ones in progress. I'm currently writing a story about a guy who works at a dump. So everytime I do actually go to the local dump I get another idea and scribble it down on whatever bit of paper is to hand. Later on I write them all up into my sketchpad - the same one I do all my page layouts on. I have a rough framework for my story, so it's a case of hitting the beats I have to, and sprinkling these new ideas throughout. 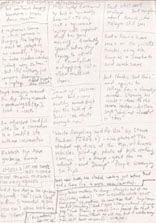 The image above is all the ideas I've collected over the years for Dump, including the ending. 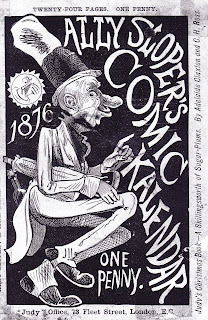 Another remarkable comic I've just read courtesy of my local library is Ally Sloper's Comic Kalender, published in 1875. 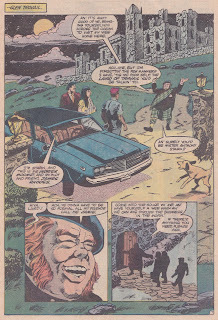 Ally is generally regarded as the first comic character in the UK (please send all dissenting theories to someone else), and also fights it out with the Yellow Kid for the title of first ever.